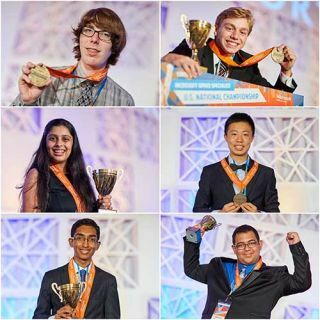 The winners of the 2017 Microsoft Office Specialist U.S. National Championship have been announced by Certiport. The champions topped more than 320,000 total entrants and 124 finalists at the event in Orlando, Florida. The first-place winners will now head to Anaheim, California for the MOS World Championship from July 30 – August 2, 2017. Students from 13 to 22 years old participated in one of six competition tracks by submitting a qualified, passing score on any of the following exams: Microsoft Office Specialist Word (2016 or 2013), Microsoft Office Specialist Excel (2016 or 2013), and Microsoft Office Specialist PowerPoint (2016 or 2013). First place winners received a $3,000 cash prize, second place $1500 and third place $750. After besting 320,000 students who earned a passing score on an eligible MOS Exam in the qualifying round, 124 finalists were given a printed copy of a document, spreadsheet or presentation to recreate, along with printed instructions and digital assets. They were scored according to the accuracy of the re-creation. The champions in each program, along with a chaperone, have won a trip to participate in the 2017 MOS World Championship in Anaheim, California.